Help us alleviate the challenges of food insecurity that many CMU students face. The Student Food Pantry aims to ensure that hunger is not a barrier to academic success or well-being for any student at Central Michigan University. It will help students stay focused and well-fed with distributions of free food. Learn more about the availability and reasons for the food pantry below. 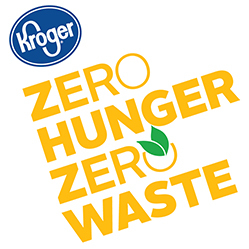 On Giving Tuesday 2018, Kroger generously gave a matching gift of $2,500 to the Student Food Pantry and helped make the day a big success. The Student Food Pantry is open to any currently enrolled CMU student in need of supplemental food assistance. The first food distribution occurred from 6-8 p.m. on November 27, 2018, and it is now open from 4-6 p.m. every other Tuesday and Wednesday. The Student Food Pantry is located near the North Campus Testing Center under the Robinson Residential Restaurant. Read more about the Student Food Pantry’s mission and its opening night here.